-This exhibition emphasizes the importance of night scenes to the development of modern American art. The exhibition will explore the phenomenon by presenting nocturnes by twenty masters of painting, printmaking, and photography including Bierstadt, Homer, Tanner, Sloan, and O’Keeffe. 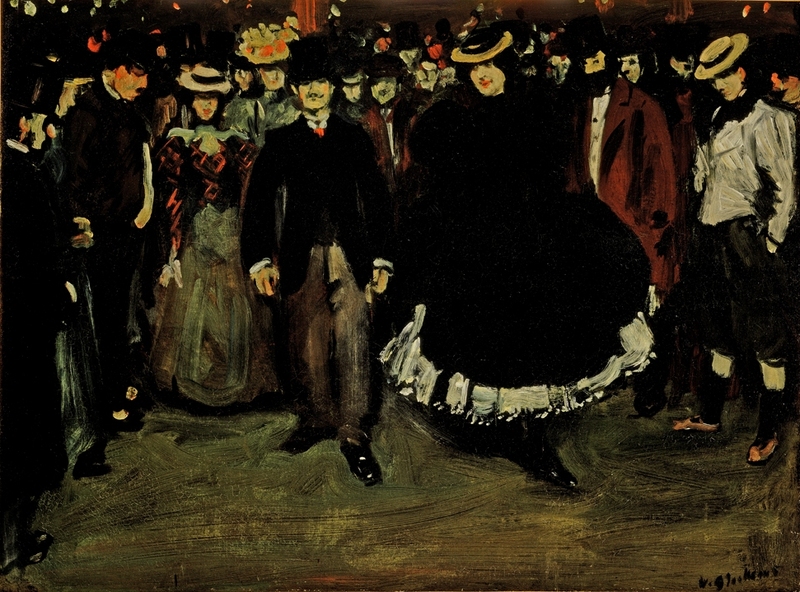 Bal Bullier, an early work by William Glackens, emphasizes the darkness and frenzy of night-time entertainment in turn-of-the-century Paris.